A Joint Effort for The Maui Food Bank! 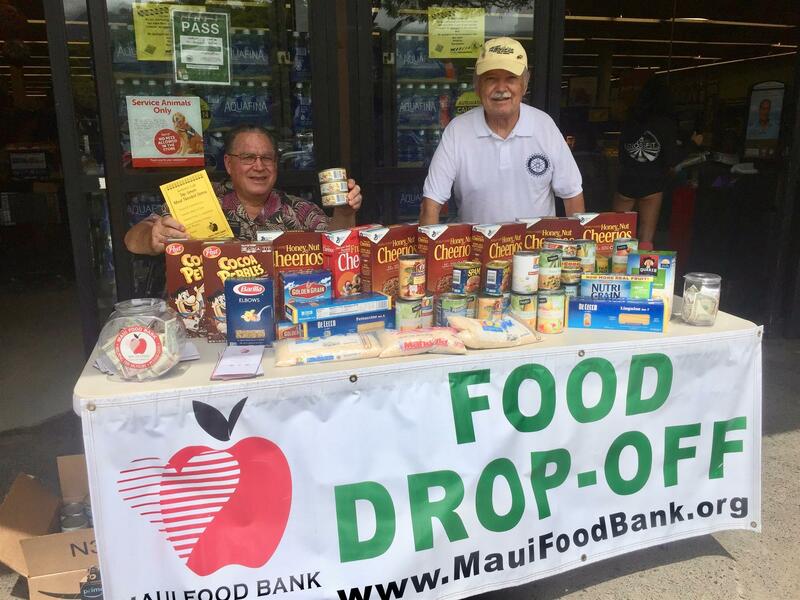 Rotary at Work Day for Maui Food Bank – A Joint Effort! Two of the West Side Rotary Clubs joined their efforts at the Lahaina Safeway to collect “cans and cash” for the Maui Food Bank. The Rotary Club of Lahaina Sunset spent the entire day manning the collection table starting at 8:30 am through 4:30 pm. From 10:30 am -2:30 pm our club was joined by members of the Rotary Club of Lahaina AND members of the Maui Prep Interact Club to help with the collection effort. The last two afternoon shifts were spearheaded by Foundation Chair Phylecia Platte who not only worked the table 4.5 hours but oversaw the counting of the cash and the packing and marking of the boxes for pick up by Maui Food Bank. AMAZING FINAL RESULTS!! 14 boxes of collected food and $943.30 in collected cash and checks! Thank you Phylecia and all of the members who tireless worked the collection table. We all know the true meaning of “Service Above Self”! !